What a splendid night for the race, cold but clear with plenty of snow to slow the fast runners, although this didn't stop Tim and Ralph finishing well ahead of Richard and Simon. 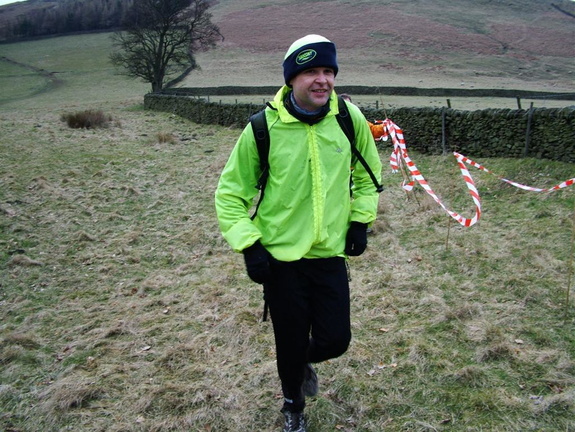 Good to see Neil back on the fells racing after a long lay off. It was also reassuring to see the last 3 runners torches coming over the brow, so we could retire to the warmth of the Anglers rest. With good visibility the chasing pack were helped greatly by the ploughed furrow to, and lights from, the block house. The staggering error was by the R.O who led runners up the first bank but then not seeing the little gate set off way right and had to climb a high wall to begin the race! There was one or two other tales but no serious walkabouts of note.